In 2016, the new, state-of-the-art location of B. Braun’s Professional Nutrition Services GmbH (PNS) opened its doors in Melsungen, Germany. 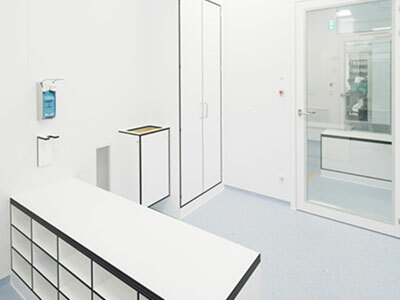 This B. Braun subsidiary is a top-level manufacturer of products and systems for artificial nutrition, especially patient-customised parenteral nutrition solutions. To ensure safety and quality, this equipment is produced aseptically in high-end cleanrooms, according to EU-GMP regulations. 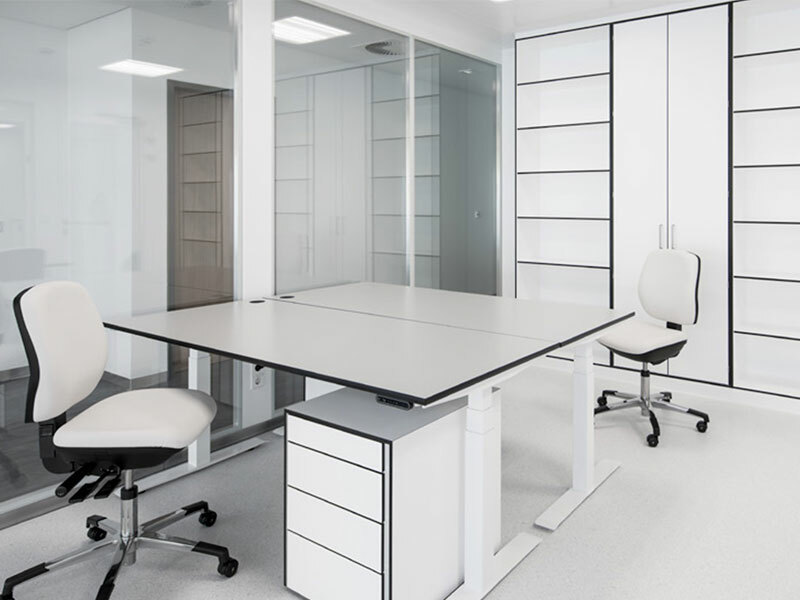 Tresolid was on board and designed and manufactured the cleanroom furniture for B.Braun's new production facility in Melsungen, Germany. Malnutrition is a common problem in critically ill and hospitalised patients in hospitals,nursing homes and home care. If people are not able to eat, or absorb enough nutrients from food in a normal way, this may have serious consequences like extended hospital stays and considerable mortality. Artificial nutrition, which can be oral, enteral or parenteral, is an important tool to promote health and quality of life in these patients. Parenteral nutrition is liquid ‘food’, which is somministrated intravenously in patients who cannot take food or fluid through the gastro-intestinal tract. Manufacturing of these parenteral nutrition solutions, just like other drugs and medical equipment, must occur under extremely hygienic circumstances and is regulated by strict norms and standards in order to guarantee safe use. B. Braun Melsungen AG has worked together with PNS since 2003 for the manufacturing of parenteral nutrition. In 2014, the Melsungen company decided to build a new production plant in order to allow further growth and optimisation of the production processes through innovative design and advanced technology. High standards were put on the production area: the clean zones. PNS produces aseptically and this means that high requirements were set to the clean room system. Half of the project budget was invested for this purpose. "There can be no compromises when manufacturing medications”, says Jens Kann, project leader at B. Braun Melsungen AG. “Together with our partners, we have created an innovative location that unifies quality, safety and transparency." The production plant consists of different ‘cubes’, which modularity allows eventual future expansion without disturbing the production processes and aims to be a blueprint for other locations of the company, even in other countries. The different work areas are separated from each other to make sure contaminants and particles cannot enter the clean zones. In the ‘black’ area, which is less controlled, for example offices and the visitor’s hallway can be found. This glass corridor reflects PNS’ wish for transparency and allows visitors and customers to see the production areas and to follow each step of the manufacturing process. Production and quality control takes place in ‘white’ or clean areas, from GMP class D to A. Working together and ‘sharing expertise’ with customers and international colleagues from all over the world resulted in important technical innovations, such as the development of a refrigerated material lock. “This simplifies the manufacturing process and even better guarantees the compliance of the refrigeration chain”, Kann explains.